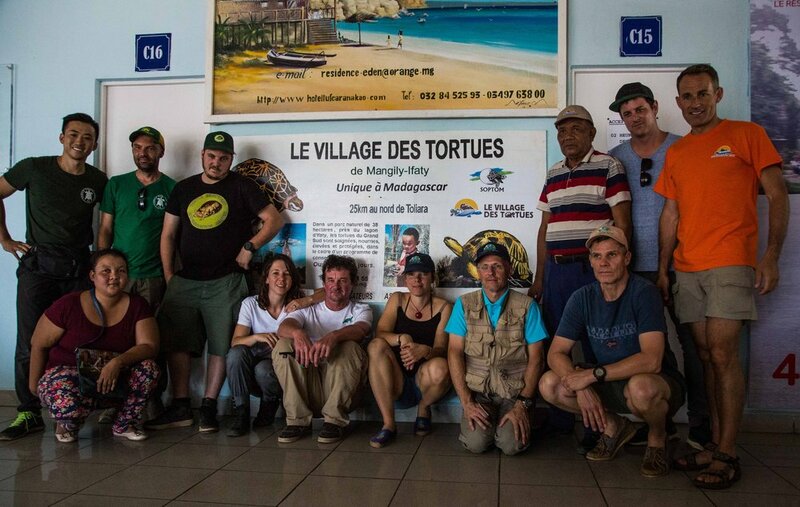 A team of veterinarians, biologists and construction experts traveled to Madagascar to help save over 10,000 tortoises in an unprecedented wildlife trafficking crisis. 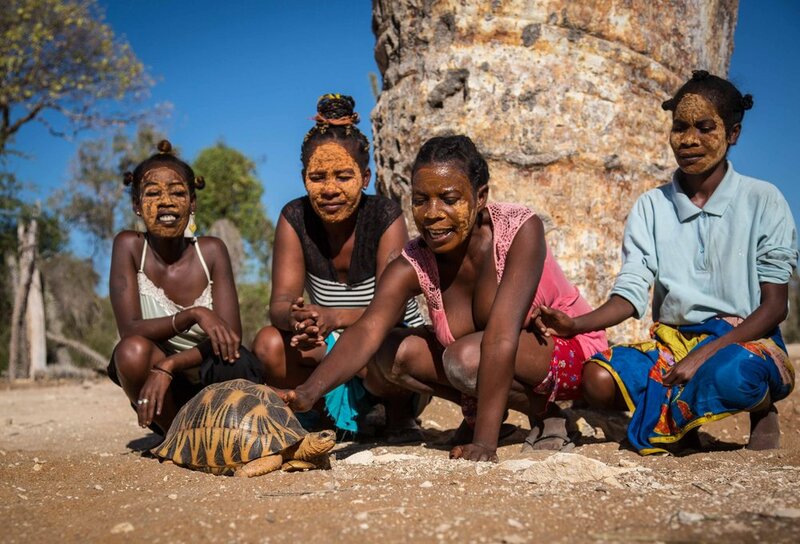 As previously reported, 10,976 Critically Endangered Radiated tortoises were discovered in Toliara, a town on the southwestern coast of Madagascar. Authorities received complaints of a disturbing smell of death and excrement coming from a two-story house. Upon inspection, thousands of juvenile tortoises occupied the floors, sinks, and bathtubs. They had no food, no water and were lying in their own waste. Over 500 were already dead. 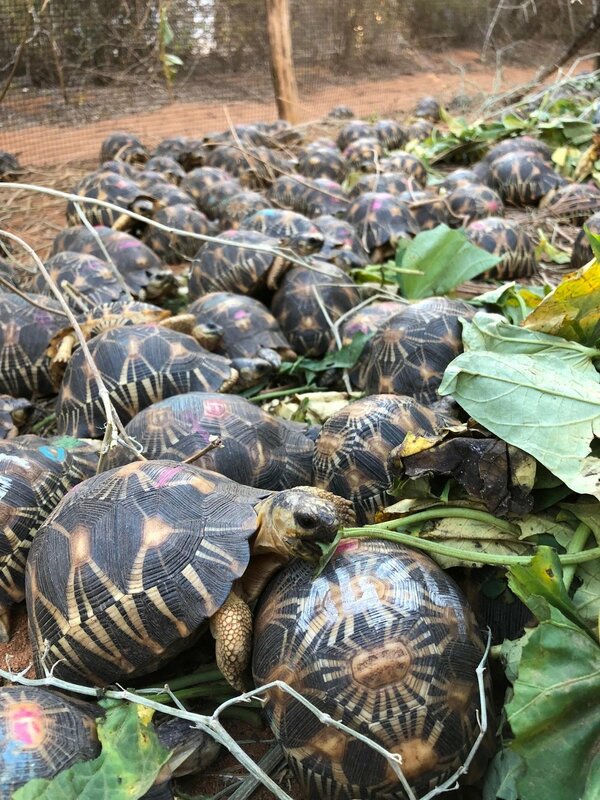 Rescuers trucked the emaciated animals to Le Village Des Tortues (French for “Turtle Village”), a rescue facility in Ifaty constructed by the French conservation organization SOPTOM. SOPTOM’s call for assistance was answered by the Turtle Conservancy (US), Global Wildlife Conservation (US), San Diego Zoo (US), Protection et Récupération des Tortues (Switzerland), ASPCA, Turtle Survival Alliance (US), and Turtle Sanctuary (France). This international team brought over 500 pounds of medical and building supplies, in order to support the triage and care of the tortoises for the next several months. Those lucky enough to visit the Turtle Conservancy’s private facility in Ojai are familiar with confiscated Radiated Tortoises. Its 10-acre grounds are home to many confiscated animals and it houses the largest breeding program of Radiated Tortoises in North America. Over 300 have been hatched in the sanctuary in its 12 year existence. The Turtle Conservancy is among the leading facilities working to save critically endangered turtles and tortoises. They work with several dozen endangered species from around the world, both in Ojai and the wild, and participate in the Radiated Tortoise Species Survival Plan, a collaborative program between accredited zoos around the world working to save the species from extinction. The main threats to Radiated Tortoises include consumption for bushmeat by local people, deforestation, and poaching for the pet trade. Tortoises are taken from forests by villagers in the South, purchased by middlemen for as little as $3. They are eventually shipped to Europe and Asia for the exotic pet trade. Thank you to SOPTOM and the TSA for their continued support of this rescue. Please donate to continue caring for the tortoises at Village des Tortues!